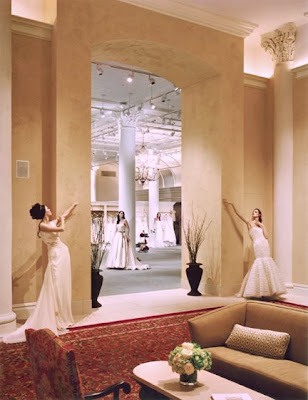 If you're lucky enough to be an East Coast bride and haven't been to Kleinfeld of Manhattan, you're in for a treat. The pinnacle of Bridal Salons, Kleinfeld is featured on Martha Stewart and Say Yes To The Dress, a new series about the inside happenings of the world's foremost bridal salon. Trunk shows as I've always said are a great way to see a collection. The designer or her representative will be there along with the entire (yes entire) collection. So all those gowns the salon doesn't carry in sample form you can finally get a look at. In addition, you can actually meet and pick your favorite designer's brain-ask about any changes in fabric, lace, color, etc. 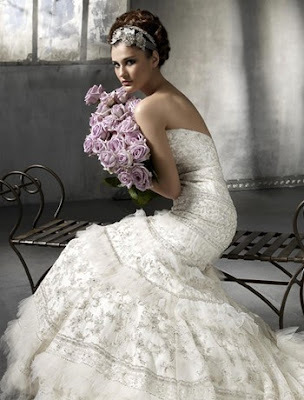 The result: your best opportunity to get your dress customized. 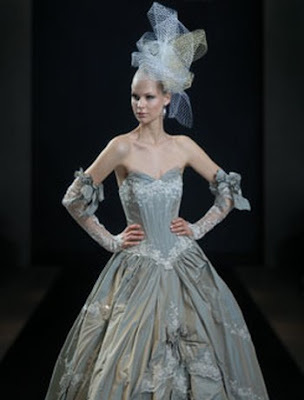 Keep in mind, just like Cinderella's Ball, trunk shows have a time line. Kleinfeld's run for two days. You pretty much have to know what you want and make your choice before the weekend is over. Therefore trunk shows are not ideal for the browsing phase of your search. 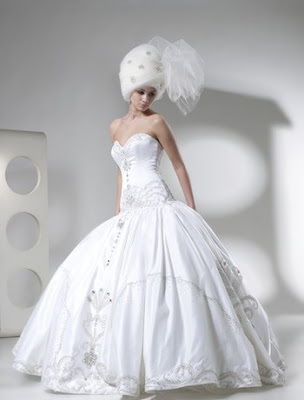 Hopefully you've shopped prior and at length so you know for sure that this is it, this is The Gown. That Michelle Roth gown is to die for. Giant polka dots? Swoon! Actually, the Roth gown was one of those famous gowns that was covered in tons of editorials. It was a winner alright.